Adrian Clarke looks at tactical battles set to take place in Matchweek 6. The trio complemented each other well. From this firmer base, the Hammers dealt more comfortably with pressure and were able set up a stream of incisive counter-attacks from turnovers. They won 3-1 at Goodison Park and, on paper, this tactical configuration is ideally suited to combating a Chelsea side in fantastic form. Chelsea head coach Maurizio Sarri gave Eden Hazard the licence to play with extra freedom in Saturday's 4-1 victory over Cardiff City. The brilliant Belgian revelled in this roaming role. He popped up all over the final third at Stamford Bridge and rewarded his boss with a hat-trick. If West Ham play the same way at London Stadium on Sunday, Hazard will come up against Rice. Rice has a strong physical presence, along with impressive composure and discipline for one so young. The 19-year-old, who can also excel as a centre-back, made a huge difference for the Hammers at Everton last time out. Sitting in front of the back four, he acted as an auxiliary central defender when required, making one tackle, two blocks and three clearances from inside his own box. On the ball he looked after possession very efficiently too, frequently feeding the ball to the flanks with great accuracy. It is important for Rice to replicate this sort of display against Chelsea, who have tended to leave space behind their full-backs this term in their eagerness to attack opponents. If Rice can release wingers Felipe Anderson and Andriy Yarmolenko with early passes, that will be the best way to hurt the Blues. As the table below shows, having an extra man in the middle of the pitch at Everton made a huge difference to the Hammers' ability to repel danger and retrieve possession. Helped out by two wingers who were prepared to track back, Pellegrini’s four-man rearguard was shielded by five industrious midfielders, propped up by Rice in the centre, who were able to crowd space and create turnovers. Compared to previous outings, the east Londoners showed a significant improvement in midfield. 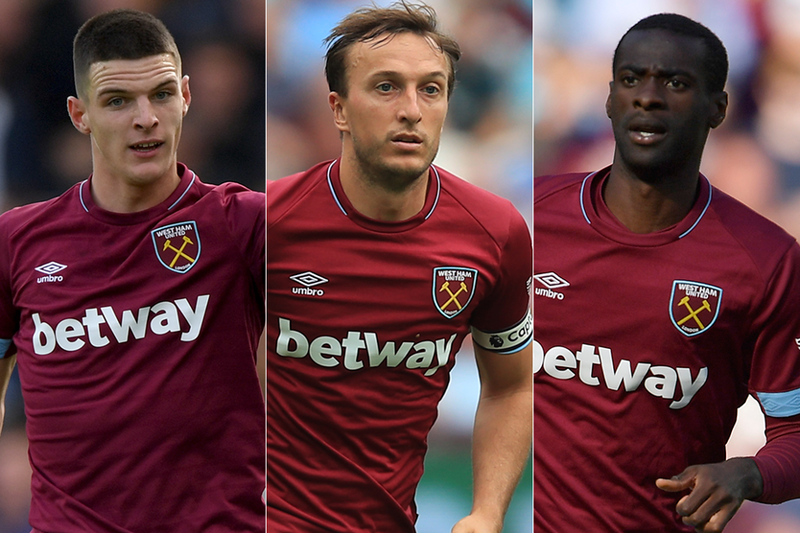 In the coming weeks it will be interesting to see if the injured Jack Wilshere can displace club captain Noble in the side. But, for now, the balance of this key trio looks just right. If Rice, Obiang and Noble perform as they did against Everton, Chelsea will not have it all their own way in this London derby.